Every major sports tournament has its big guns who the audience savour and who those playing can’t wait to test their mettle against. Many tournaments also have an underdog or an unknown quantity that captures the imagination of everyone enjoying the competition. For many of the skaters appearing at MRDWC that we’ve spoken to so far, the underdog they can’t wait to see is Japan. This is in no small part thanks to the mystery surrounding Roller Game, a once immensely popular Japanese variation of roller derby in which each side takes it in turns to field a jammer. Roller Game Japan was a game of firsts: the first version of derby to move to the flat track; the first to ditch the script and become a true sport; the first to organise a ‘world cup’, when an American men’s team toured in 1993, and; the first to see women and men skate together in the same jam. Much of this was thanks to its driving force, Hiroshi Koizumi, as Windyman details on his blog. Roller Game disappeared in 1995, was briefly resurrected at the turn of the century and again in 2013, this time with a script. As for the WFTDA/MRDA brand of roller derby it’s very early days for the men of Japan, while the women have more of a presence thanks to the US air force bases in the country. 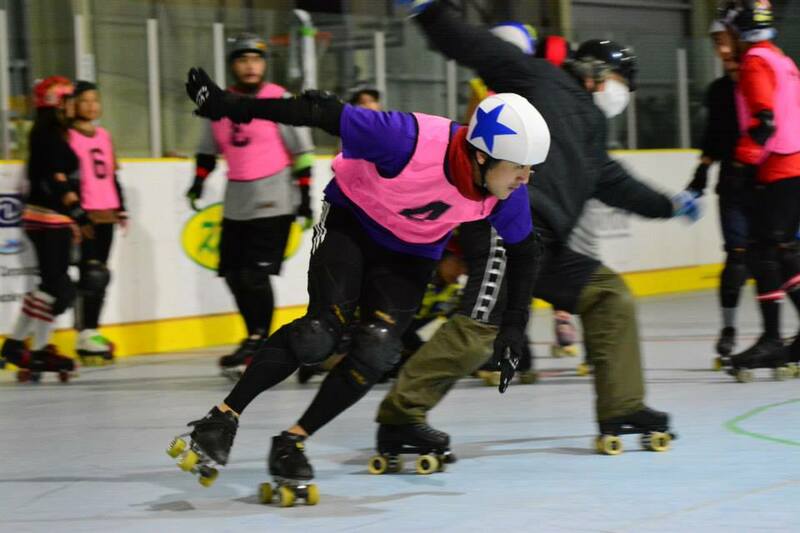 “I have to say that men’s roller derby in Japan is still very young,”says Keisuke Otsuki. “Many people in Japan are not even aware of this sport. Right now, we are pretty much the only men playing roller derby in Japan. We are working on popularizing roller derby culture by holding free skating lessons and we’re aiming to recruit more skaters throughout Japan by media exposure. The men’s team started in 2012 with three skaters who had been playing Roller Game. Team Japan now numbers 11 skaters, who will all travel to England at their own expense. As preparation for the World Cup the team have been scouring YouTube for footage of American and European games and practising three times a week. 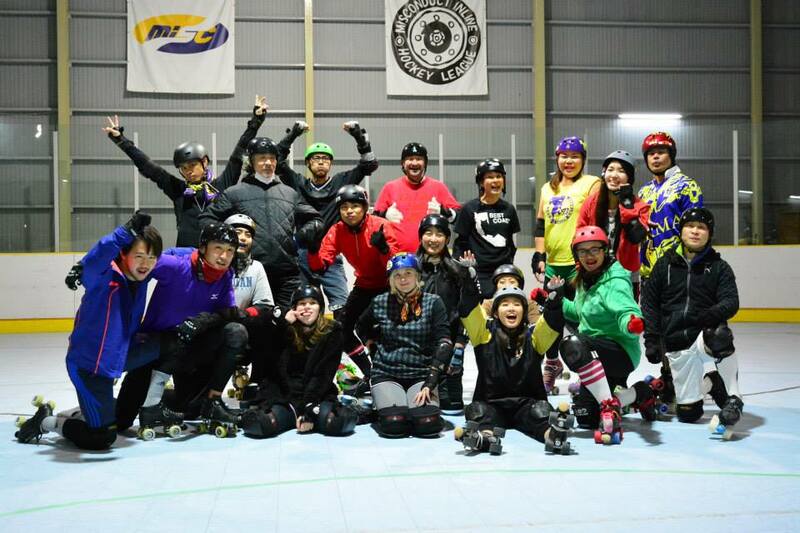 They also regularly skate with Tokyo Roller Girls, a WFTDA member league. Keisuke may play down his side’s chances but they’re not the only inexperienced side who will roll out in Birmingham next month. Kei is right to think about what to take from the tournament too. 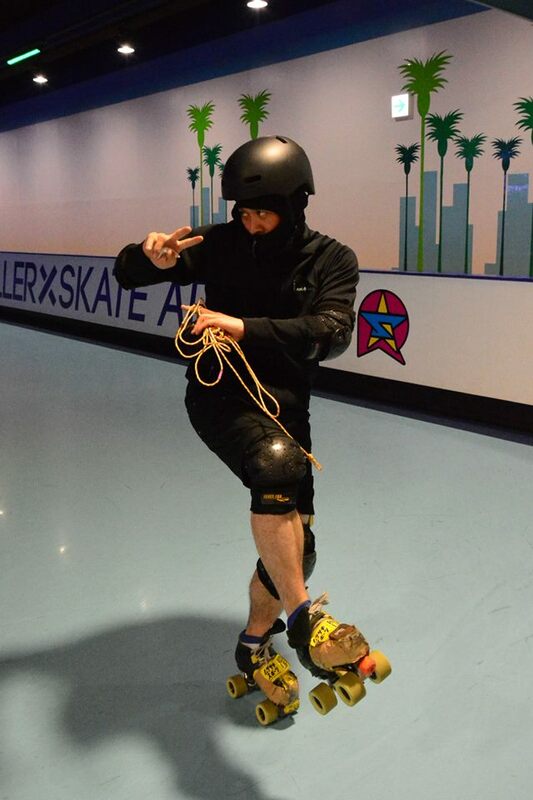 Roller Game began its transformation in the Land of the Rising Sun when the Los Angeles Thunderbirds visited Japan and played against a certain Hiroshi Koizumi. Perhaps in 2014 Keisuke’s team mates can return home armed with experience, a deeper knowledge of the game and a list of valuable contacts, ready to push men’s roller derby further forwards in Japan. I was hoping Japan would build a league for the World Cup. My Mother is full Japanese and I have been skating derby for about 7yrs, so I had my fingers crossed. This is great to see! Is the team based in Tokyo? I used to skate with the Nottingham men’s team a couple of years ago and will be moving to Japan in April. I would love to skate with these guys and get back into roller derby! Yes the men’s team is in Tokyo. Womens teams are located in Tokyo, Yokosuka, Zama, Yokota, Misawa, Okinawa. The womens team, Team Japan will be skating in the Blood and Thunder World cup in Decemeber located in Dallas, TX.